The first thing that strikes a visitor to the enclave in eastern Queens that is Jamaica Estates is its hilly streets lined by huge oak, maple, elm and chestnut trees. Planned by developers in the early 1900s to be a luxurious, suburban escape from Manhattan. The Jamaica Estates Company, which developed the community’s 503 acres at the turn of the century, laid out lots to preserve existing trees. Some are now more than 200 years old. 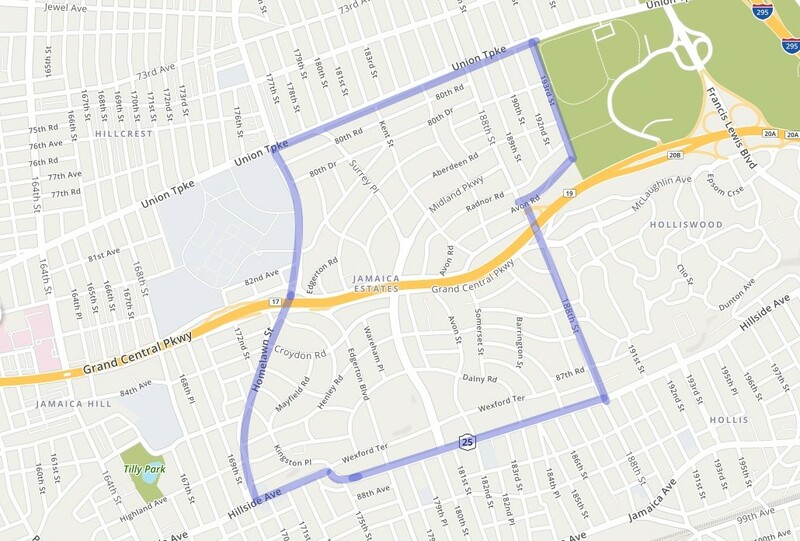 Bounded by Union Turnpike to the north and Hillside Avenue to the south, Utopia Parkway and Homelawn Street to the west, and 188th Street to the east. The main road through the neighborhood is Midland Parkway. A quiet neighborhood that blends with suburban comfort with big city amenities, Jamaica Estates is one of the top communities in Queens. The neighborhood offers everything from luxury homes to easy commutes to Manhattan to top-rated attractions nearby. 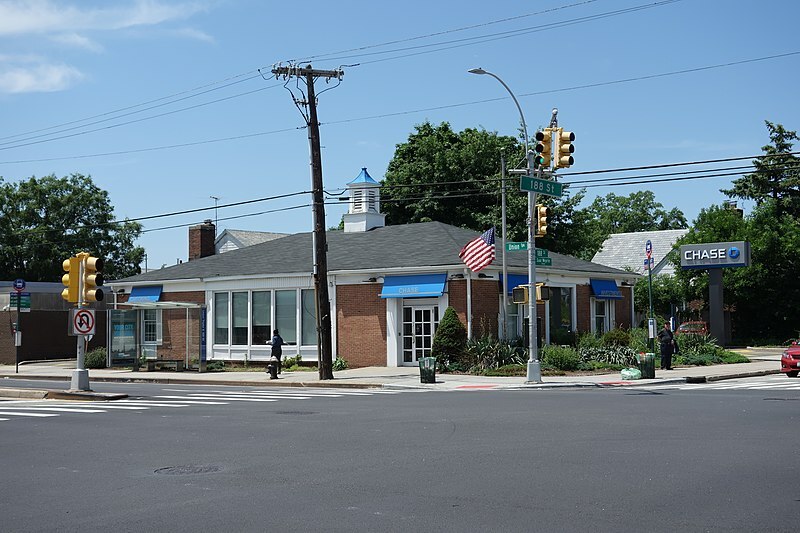 The neighborhood also offers a rich variety of shops and restaurants to explore that are located along side Union Turnpike. 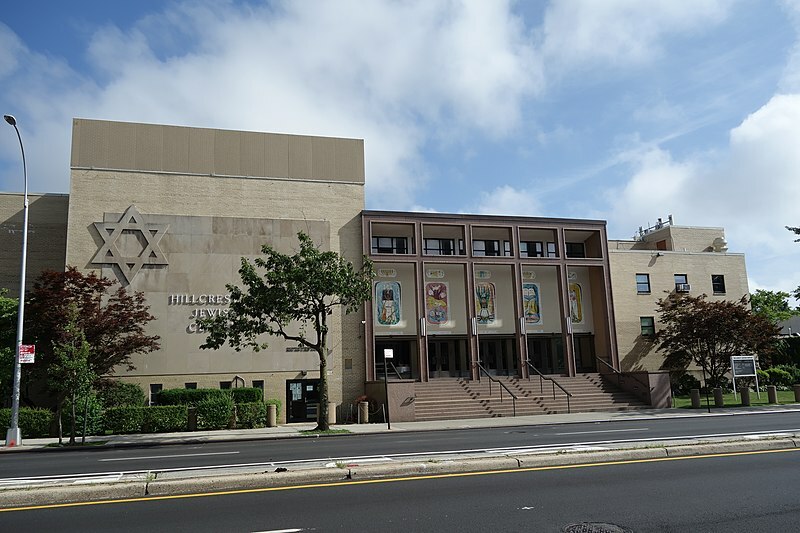 For homebuyers looking at relocating to Queens, Jamaica Estates is a fantastic community to consider buying a property in. 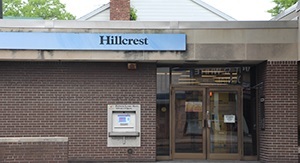 The ride from the F train station at 179th Street on the corner of Midland Parkway and Hillside Avenue to Midtown Manhattan takes 30-45 minutes. The neighborhood is also served by the Q1, Q2, Q3, Q36, Q46 local bus lines on Hillside Avenue, and the Q17 bus on 188th Street. Numerous express buses (QM1, QM5, QM6, QM7, QM8, X68) to Manhattan also stop on Union Turnpike. 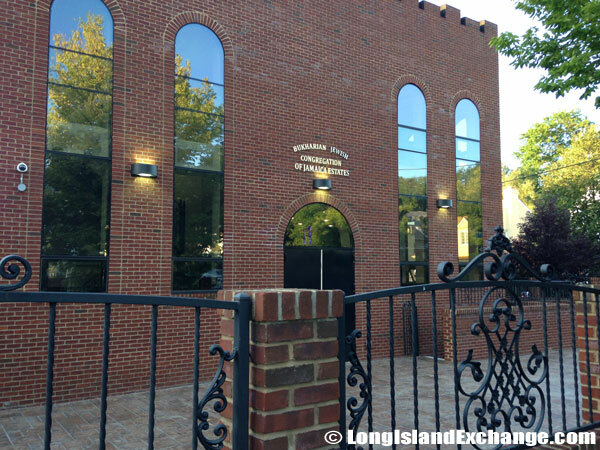 Serving the Jamaica Estates community is a group of both public and private schools that have created an enviable record of student achievement: The Holliswood School (P.S. /I.S. 178) part of School District #26 is a well-regarded, high-performing pre-kindergarten through 8th grade school. 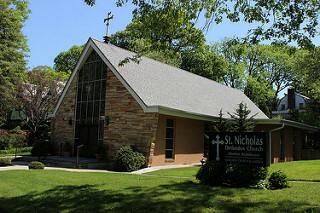 The Immaculate Conception School located on the corner of Midland Parkway and Dalny Road, the Mary Louis Academy; an all-girls Catholic college-prep school, is located on the corner of Edgerton Boulevard and Wexford Terrace, and the Summit School has their high school campus on 188th Street and Grand Central Parkway. 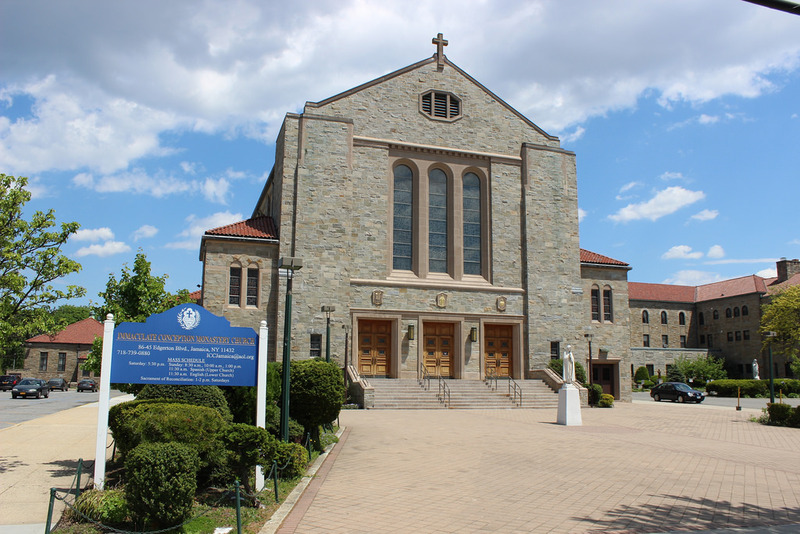 Bordering the Jamaica Estates northwest corner is St. John’s University, a world-renowned college offering degree programs, continuing education programs, cultural events and Division 1 sports teams. Just along the north eastern edge of the neighborhood is the 358-acre expanse of Cunningham Park. Among the largest parks in Queens, it features a children’s playground, basketball courts, baseball fields, hiking trails and tennis courts, among other attractions. In addition to its diverse recreational facilities, the park showcases special events including appearances by the New York Philharmonic and Big Apple Circus along with free summer movie screenings. They also host the Cunningham Park Farmers Market every Sunday from May to November. 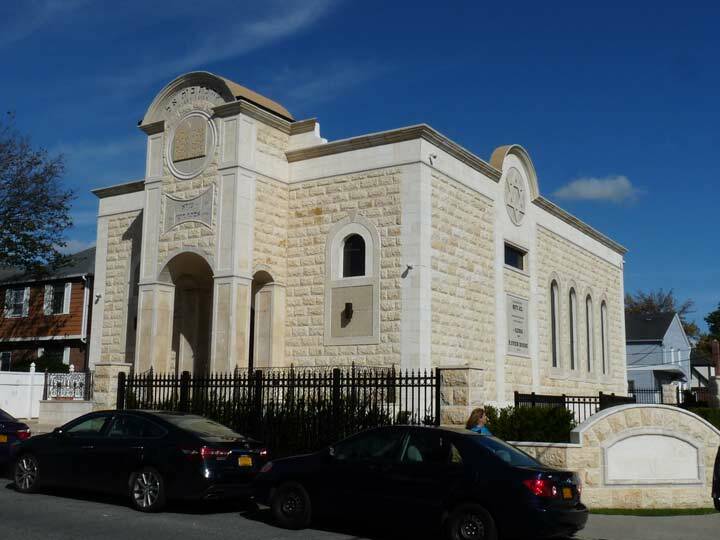 While the majority of Jamaica Estates is comprised of beautiful residential homes, there are also many commercial offices, shopping and services along Union Turnpike that add to the quality of life for local residents. 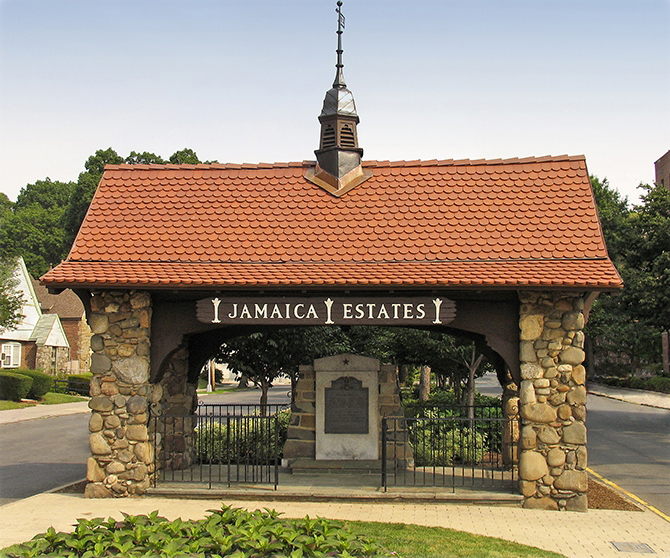 The uniqueness of the Jamaica Estates community is assured by a committed group of residents who have worked diligently and successfully to preserve it as a most desirable community in which to live and raise a family. 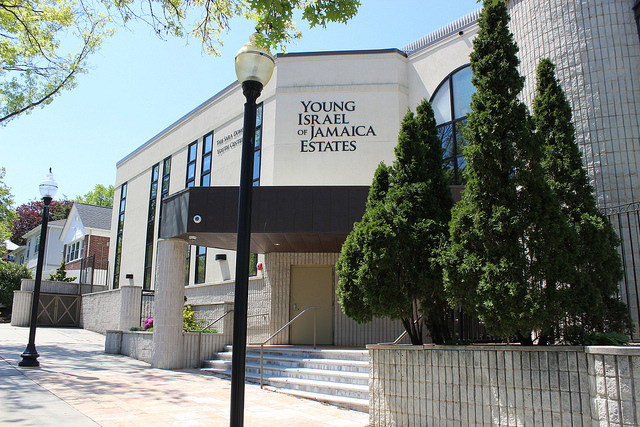 This is the Jamaica Estates Association (JEA). Founded in 1929, the JEA has actively served the neighborhood as both a unified voice and advocate for all individual member-owners. 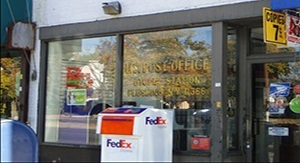 Through a variety of media, including their website, general membership meetings, bulletins, postcards, and Facebook page, they provide timely information to their members about issues that impact them such as community events, street repairs, sewer construction, tree pruning, crime alerts, meetings with officials, and much more.